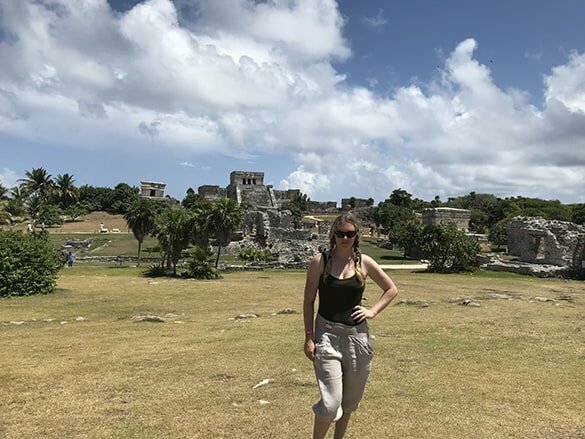 I had never seen an archaeological site on the beach until I visited Tulum. Those are two things you definitely wouldn’t normally think of as going together. 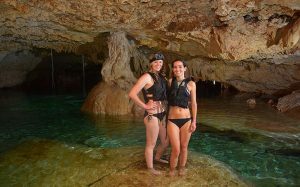 What a unique experience! Something about old stone structures such as pyramids and temples sitting with palm trees on a cliff overlooking the sand doesn’t quite compute. That being said, it makes for one gorgeous site to see. 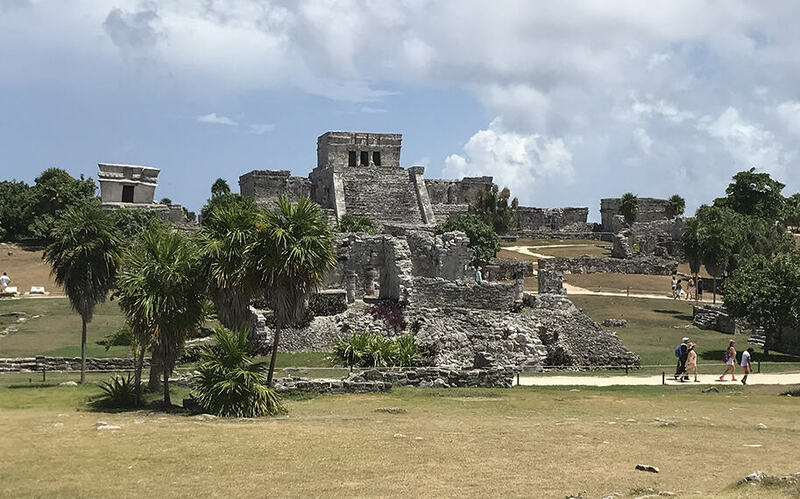 Tulum isn’t just the ruins of one temple or pyramid, though it’s most famous for one large temple in the center. Rather, it’s the remains of a full city spread out across a field overlooking the ocean. 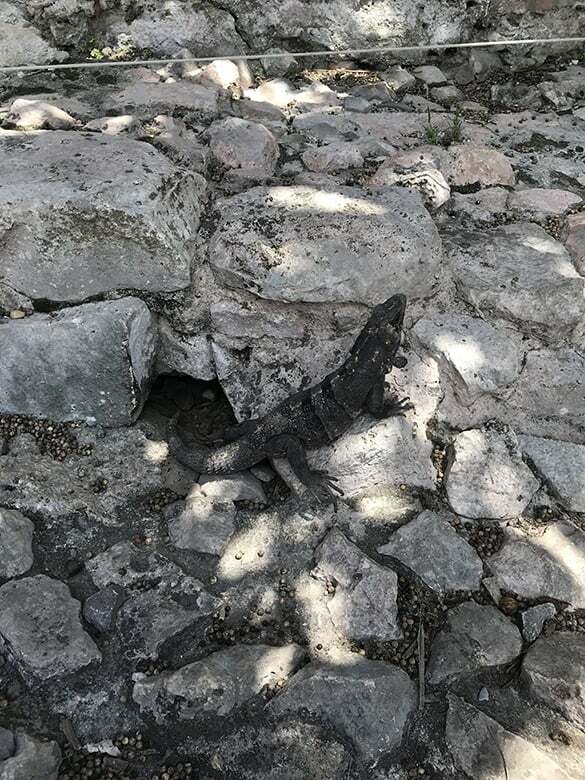 The most interesting part of our tour of Tulum was hearing about how the structures were built. Most likely, if you see a building with a roof- it was a temple. The roofs on homes were generally built with less sturdy matter such as straw. So, if you see a ruin without a roof in this area, it was most likely a place that was lived in. This site houses one of the first known lighthouses, as well. 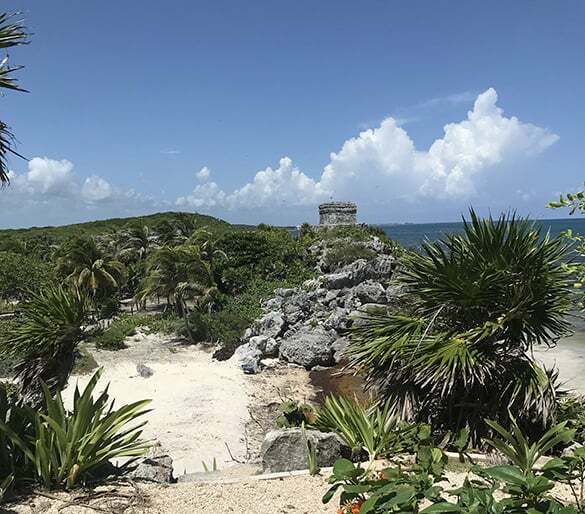 Though it didn’t necessarily work like a modern-day lighthouse, it was definitely a larger tower-like structure out on the edge of the cliff standing high above the water. 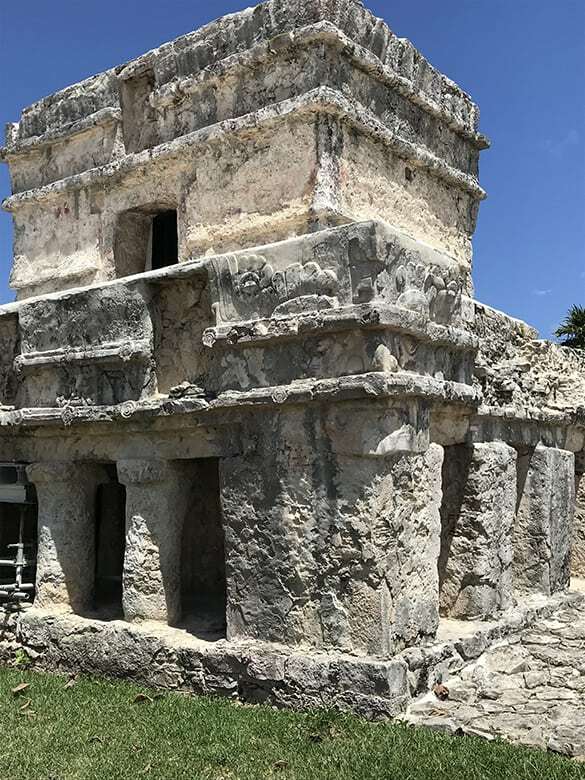 The early Mayans also brightly colored their buildings with reds and blues, and you can see the remains of some of the red paint on the ruins if you look closely enough. These sites are absolutely worth a closer look into all the specific details. 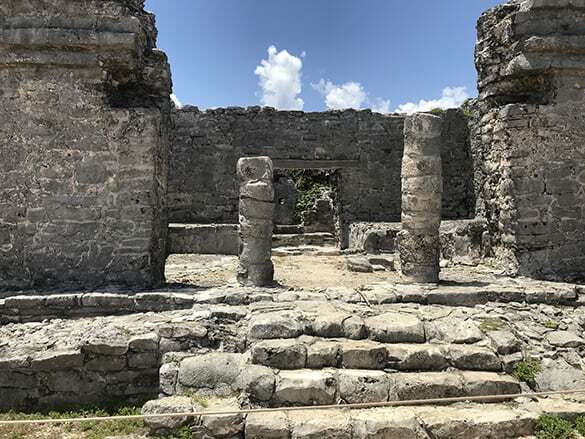 If you’re heading down into the Tulum area, be sure to check out the ruins of Tulum. If you’d like a tour and aren’t sure where to go, look into Alltournative. They won’t let you down.